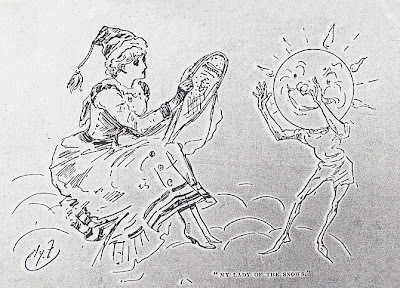 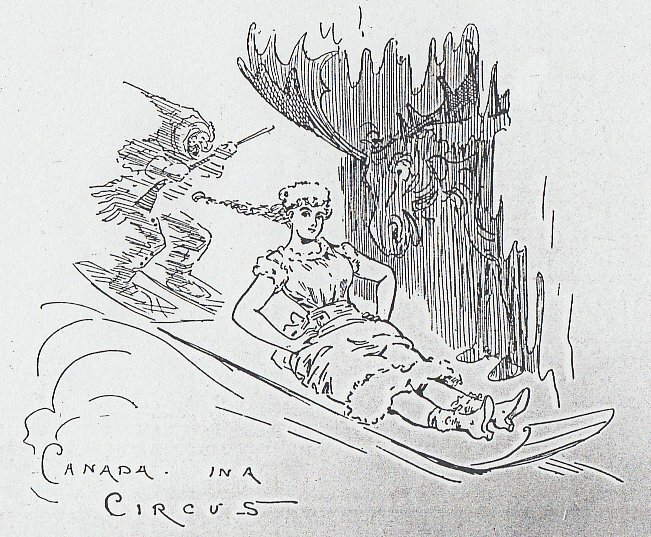 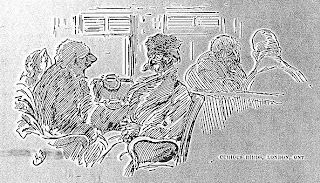 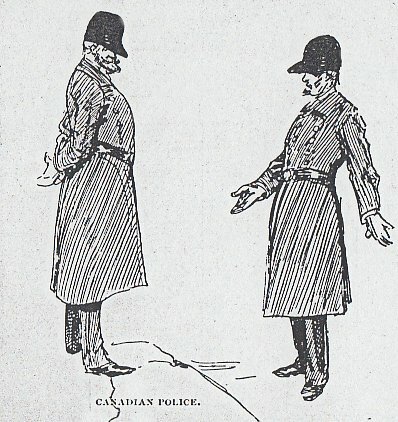 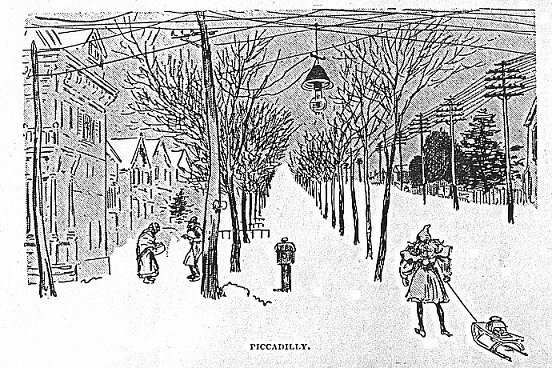 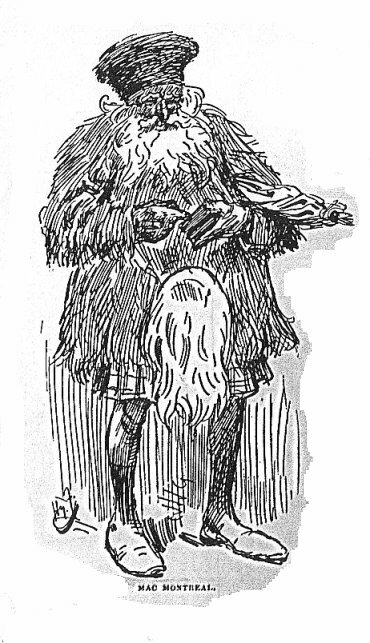 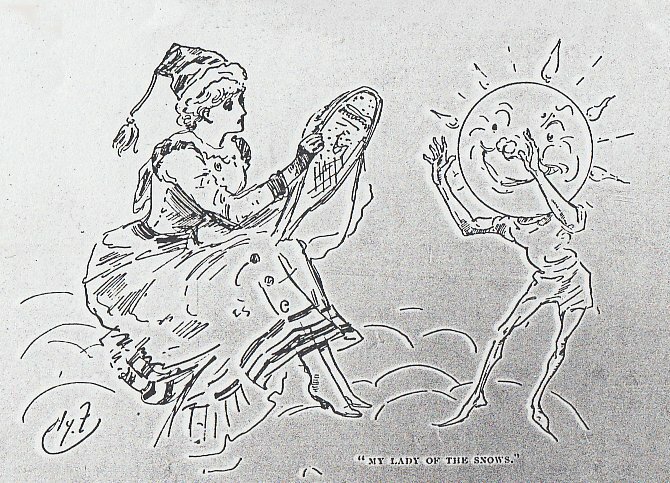 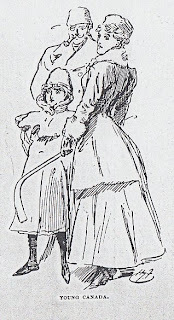 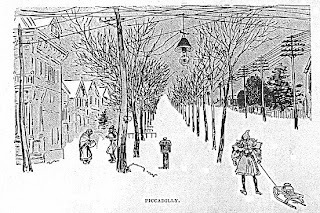 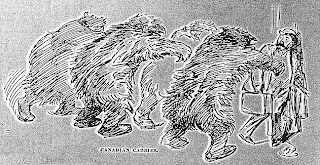 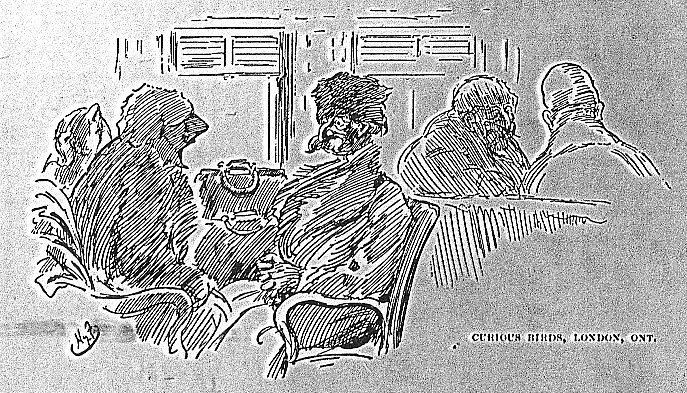 In 1895 British caricaturist and illustrator Harry Furniss (1854-1925) visited Canada and began a series of articles called ‘Canadian Sketches’ for the Windsor Magazine. 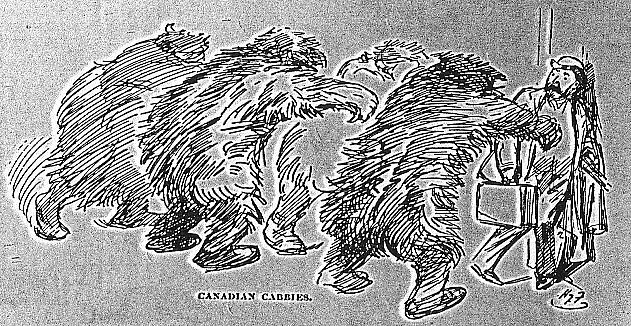 Canadian fashion was odd to say the least; in Montreal, Halifax and Ontario kilts mingled with fur caps and bearskin coats. 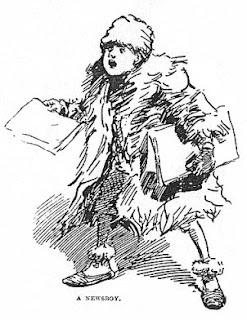 Even the poor newsboy wore a ratty fur though his bare legs were exposed to the elements. 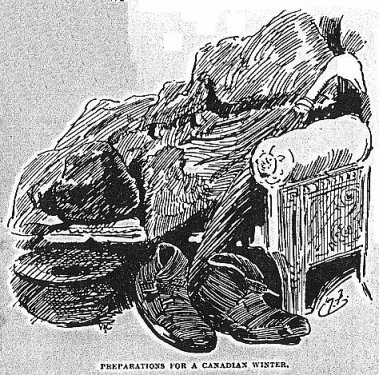 Preparations for a Canadian Winter. 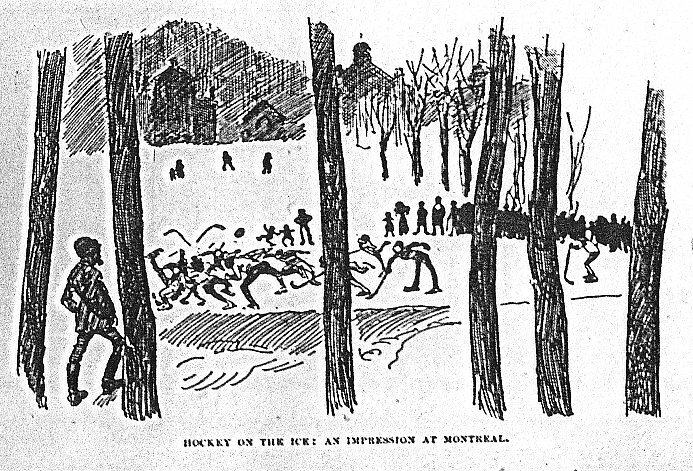 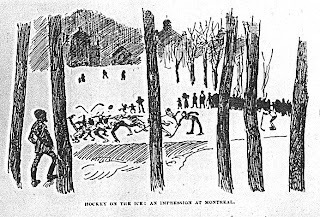 Hockey on the Ice: an Impression at Montreal.